Marketing is a growing industry that’s only getting larger with the new possibilities that technology brings to the table. As a business owner, there’s a lot of pressure that comes with creating marketing strategies which keep up with the times. There is often the illusion that tech companies like Apple will always trump everyone else in the marketing category because they have a team full of digitally intelligent employees. While this may be partly true, you can still have access to high level marketing strategies with the right knowledge and awareness. Whatever industry you are in, there are some key strategies to competing in the marketing realm of your industry in 2019. In today’s rapidly growing world, companies and organizations concern themselves with immediately gratifying aspects of the business like sales. Of course, this shouldn’t be entirely the case. Sales are important, but there will be more sales if your company has an overall cohesive online presence. Look at your company blog that maybe hasn’t been touched in months. Evaluate what content needs to be posted. You can consider outsourcing the work to an agency like Link Graph that produces quality content for your site. You might be missing out on some link building and SEO opportunities that a blog can provide. A quality blog provides SEO benefits to your website, as well as gripping content that provokes customers to check in on your blog and sign up for your mailing list. Think of your content as an opportunity to bring even more value to your customers. Informative, industry-related blog posts will establish your company as a go-to expert in whatever it is you are doing. Facebook, LinkedIn, Twitter, and Instagram are where people spend most of their time socializing in 2019 — use this ad space to your advantage. Social media platforms have still-developing process for you to create ads of all types and target different audiences. Each platform is different and will take some research before using. For example, LinkedIn allows you to target audiences by job title, job description, and various other factors. Facebook is a bit less targeted, but just as effective. Take the initiative to try out all social media platforms and see where your audience is reacting to ads. If you don’t have the time or means to execute social media campaigns, there is a surge in the amount of agencies offering these services. Take a look at some agencies that specialize in your company’s industry. Having a Chief Marketing Officer (CMO) in place who knows their stuff is extremely beneficial. You need someone at the forefront of marketing efforts with risk and innovation in mind. Having someone who knows how to get things done is great, but they also have to be on top of trends and willing to learn new tricks. You need to hire someone who understands the essence of digital marketing and how it is changing. Having a general idea of marketing efforts isn’t enough in 2019 — you need a CMO with explorative and digital goals. With the advent of social media, people are over-stimulated. They might not know it, but they want marketing efforts that demand their attention. Video is a great way of doing this because it incorporates audio and visual properties. Video is also a strategic way to creatively get a message across while entertaining the viewer. You can bid for ad space with your videos on YouTube as well as the other social media platforms. 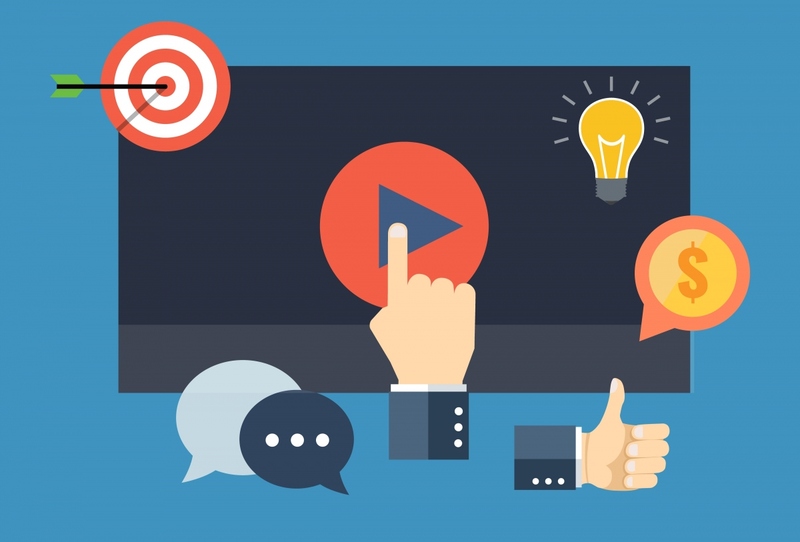 Video isn’t going away anytime soon, so incorporate it into your strategies.